A patent from Universal was filed today looking to improve the visual experience at Universal Studios Parks. Universal Studios is famous for attractions based around major pop culture hallmarks like Harry Potter, Jurassic Park, and Despicable Me. It was originally only 'Universal Studios Hollywood' which provided tours around movie and television sets, but the popularity of the tours caused them to create theme parks as well. Already, the theme parks have a lot of stunning visual effects on their rides. Namely rides like Harry Potter and the Forbidden Journey, Harry Potter and the Escape from Gringotts, and Minion Mayhem. Now it seems that Universal is looking to further expand on these effects using AR Goggles. An augmented reality experience (AR), a virtual reality experience (VR), a mixed reality experience (MR), or a combination thereof, as part of an attraction, such as a thrill ride, in an amusement park or theme park. In certain embodiments, each ride passenger may be provided a pair of electronic goggles or eyeglasses to be worn during a cycle of a thrill ride. 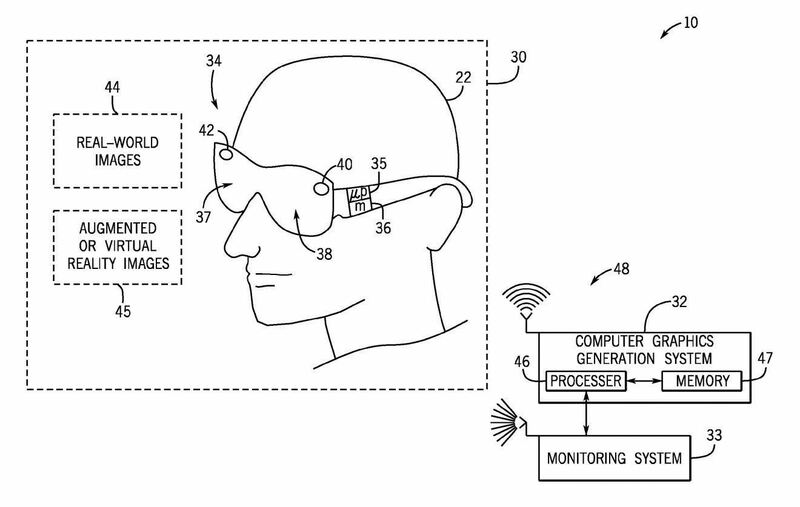 Additional examples from the patent about how these goggles could be implemented include launching 3D renders of fictional characters, monsters, or even a breach in the tracks of the ride into the real world. This would certainly increase the thrill, giving the appearance of monsters walking around in the real world and the ride about to be thrown off the tracks. There has been additional speculation in regards to where we will first be seeing the technology. It would certainly be exciting in the Wizarding World of Harry Potter to have a Dementor fly towards you, or see dinosaurs walking around in Jurassic Park. Many have speculated, however, that we could see the first trial of the goggles at the new Super Nintendo World, a 2020 expansion of Universal Studios Japan (an expansion that will then be seen in Florida parks as well). The features of the goggles here would likely be similar to that guy who used augmented reality to play real life Super Mario Bros in Central Park. 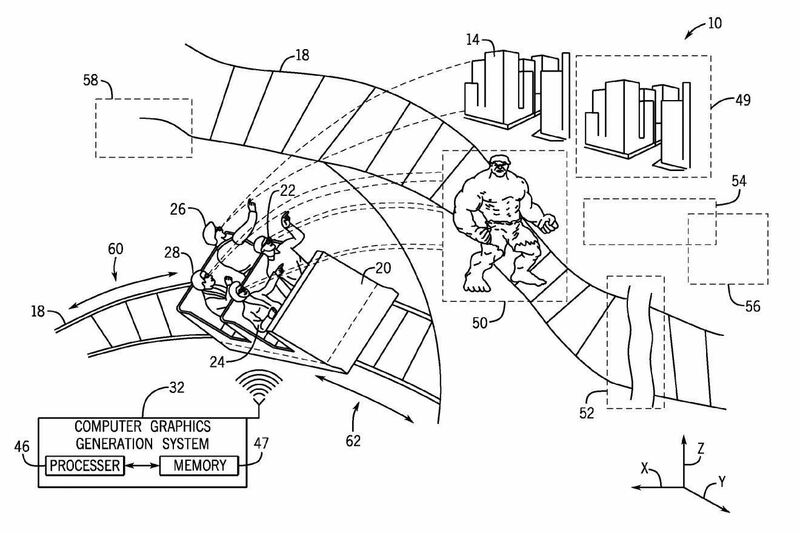 Additionally, Universal has already hinted at plans for a Mario Kart ride, which would be a cool place to use augmented reality glasses as well to throw weapons and move through the track. Even so, don't fret US park-goers, we would likely see the implementation of these goggles in US parks not long after. While it's not confirmed that these goggles will be seen in parks, the rumors going around about new thrill additions to the parks mean it's likely we'll see them or something similar very soon.